Trying to install latest updates got an error. 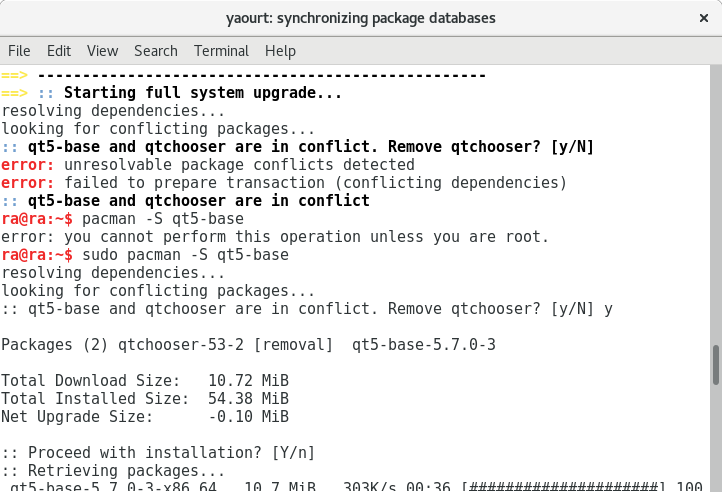 "qt5-base and qtchooser are in conflict" due to the error it was not possible to upgrade the system. The package moved to the base package, so they came to conflict.